Rugby At It's Best! 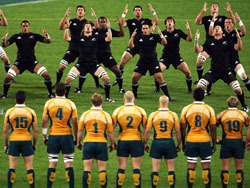 The All Blacks Are Always The Dominant Force But Can There Be An Upset. Great Tries, TOPODDS. Super XV - Who Will Win? The Copyright Act, 1978, governs the making or printing of copies or other reproductions of the content of Our Website. No part of Our Website nor any content contained on Our Website may be copied or reproduced in whole or in part without the prior written consent of Top Odds Betting (Pty) Ltd. All rights are reserved.